Guardian Angel HealthCare Services, LLC installs and services a quality personal emergency response system that is monitored by Critical Systems Technology...your link to life 24/7. Our products and services can provide you or your loved one with "Peace of Mind" while maintaining independence. Guardian Angel HealthCare Services, LLC installs and services the Bol 4200 and Bob 3600 and also the cell link system unit that calls for Police, Fire, Ambulance, or a responder of your choice. Water-Proof- Provides Protection in the bathroom, where many emergencies occur. 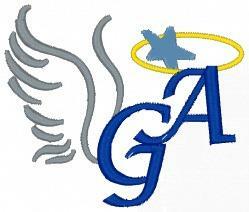 The service you receive from Guardian Angel HealthCare Services, LLC begins with the first phone call. We will install and service a quality unit that will provide you or your loved one with the confidence and "Peace of Mind" to continue your daily activities without the fear of unforeseen incidents. Guardian Angel HealthCare Services, L.L.C. privides services in throughout the entire state of Tennessee, but we will install in your area if you have a need just contact us at our tollfree number to check on avalibility in your area.